Featuring an exposed wooden frame and a combination of crisp, geometric lines and subtle curves, the Citizen Counter Stool from Sunpan is handsomely designed to complement both transitional and contemporary design schemes. 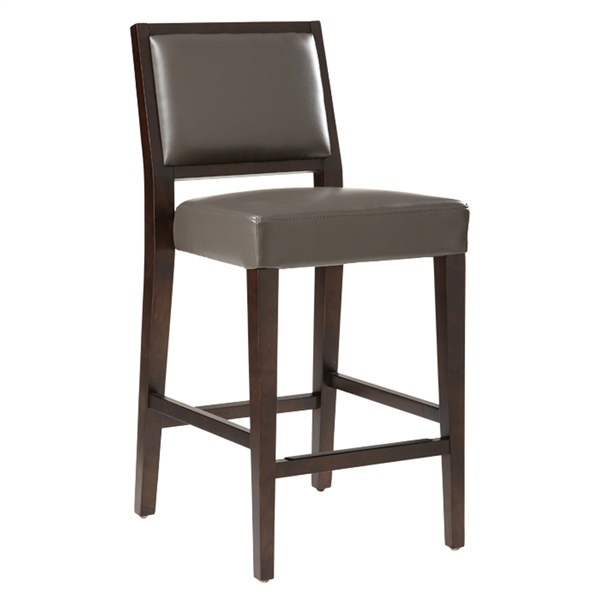 Elegantly styled but tough enough for commercial use, the modern counter stool features a sturdy and durable wooden base with a dramatic espresso stain and reinforced stretchers connecting each leg for reinforced strength. A metal-plated footrest resists potential wear and tear while generously cushioned seating upholstered in luxurious bonded leather ensures a comfortable and relaxing dining experience. Whether provided for guest use in your hotel or restaurant or to transform your home kitchen into a dining space, the Citizen Counter Stool is available in a variety of color options to ensure a perfect match to your existing d�cor.